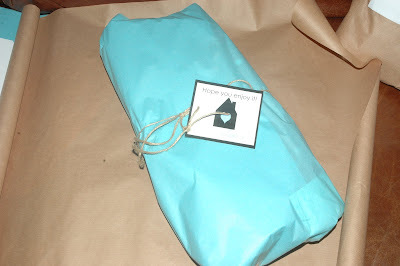 THE CHESHIRE DESIGN HOUSE: Parcels ready to go! Here it is ready to post off today! the other one has gone off to the Post office black hole too! Anyway I carried on my dog walking frenzie today 2 long long walks wellies on and everything!